Being pregnant makes traveling a little more involved. After arriving in NYC, I called my friend Kristen who is the assistant to Paul Shaffer on the Late Show with David Letterman. They're dark for two weeks but she was able to give us a tour of the Ed Sullivan theater!!! It was AMAZING!! I loved being there and my mom was geeking out. It was incredible that the tiny tiny Broadway theater was converted into the state of the art TV studio. All of the history that took place on that stage made my head spin: Elvis, the Beatles, Jim Henson and Frank Oz- amazing!! We sat at David Letterman's desk, interviewed each other, stood on his monolouge mark, and I got to touch Paul Shaffer's keyboard. Epic. That night, we went to Book of Mormon. This show is not for the faint of heart, but if you're a fan of South Park and Team America, you'd love this musical!! The show is sold out for months and months so we were so thankful to have tickets. After we sat down, I saw a tall Irish guy with big hair walk down the Orchestra aisle. 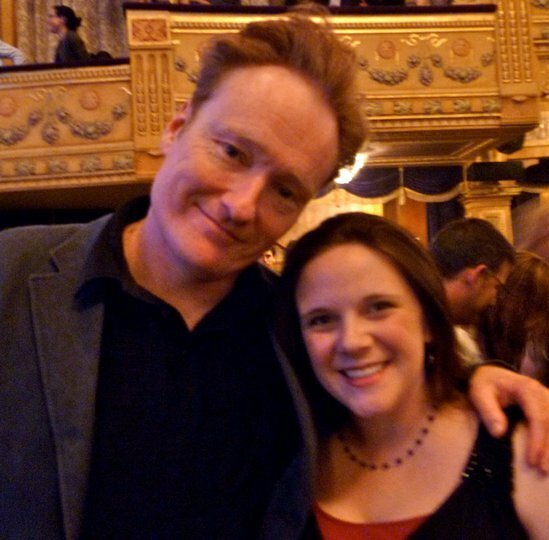 IT WAS CONAN O'BRIEN. At intermission, I scurried down and elbowed my way to him and asked for a picture. He was so great about it! His wife took our picture and he enjoyed the second act of the musical. EPIC. All day Saturday, I was the secretary for an International Cappies meeting, so I was indoors in a very air conditioned room with theater folks and teachers; these are my people. That night was our second show: Sister Act. This show had an unexpected appearance of 5 Italian tourists sitting behind us, only one of whom spoke English. The bilingual gentleman proceeded to translate the show and answer questions from his family members. Really?? I know they have live theater in Italy. "For pope's sake, silencio!!" I thought in my head, but all I said was, "silencio, por favor!" A few moments later during their big act one number, they went at it again. I turn around and make eye contact and say, "shhhhh! I can hear you!" They still talked. I spoke to an usher and they said they were unable to do anything about it, but that we could move to any open seat. So we did. Second row mezzanine. And it was awesome. 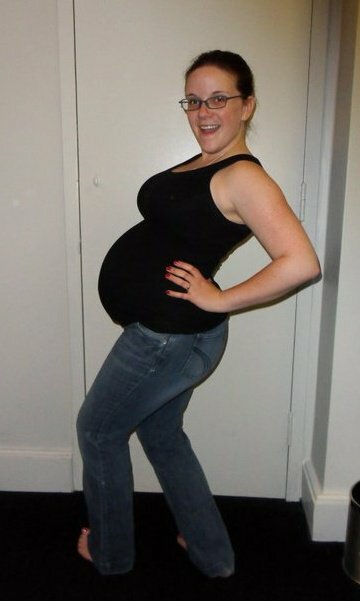 Being pregnant has made me more ballsy, but I'm pretty sure I would have done the same thing a year ago. The train ride home was long, hot, and rewarding. I love hanging out with my mom, she's a very fun and generous lady. I'm glad we were able to make this trip again together and I'm hoping we can keep up the tradition!